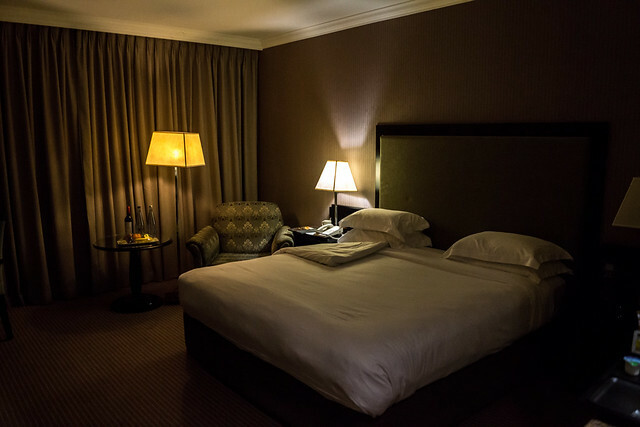 One of things that was frustrating about finding hotels in South Africa was that the two programs that I participate, Hilton HHonors and Starwood Preferred Guest, have fairly limited coverage of hotels within the country. However, Marriott Rewards members have access to Protea Hotels due to that chain joining up with Marriott last year and Intercontinental Hotels has decent coverage as well. That being said, it made my decision for what was a quick overnight a bit difficult. 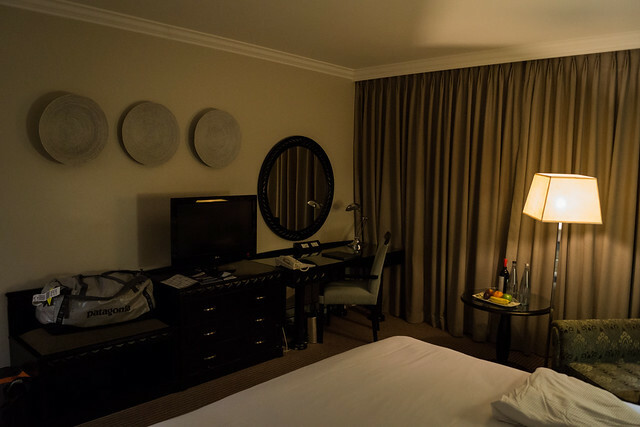 Do I stay at the Hilton in Sandton on a reward stay to save a few bucks or do I venture to one of the many Protea Hotels properties in Johannesburg – specifically looking at the Protea Fire and Ice Hotel at Melrose Arch. Well, if you paid any attention to the title, you know the decision that I made. Since I still had plenty of Hilton HHonors points, I decided to go ahead and spend the 40,000 to secure a standard room versus paying almost $200. Since it really was just a crash pad, I wasn’t too worried what I wound up with; just a bed and a ease of access to get to and from the airport was key. In this regards, the Hilton is located a short 10-15 minute walk from the Sandton Gautrain station. The only thing that might be a bit of a challenge however is if you have luggage like I did. For once I was traveling with a heavy bag that did not have wheels. I’m sure I looked pretty funny walking with my duffel on my back and messenger slung around the front. 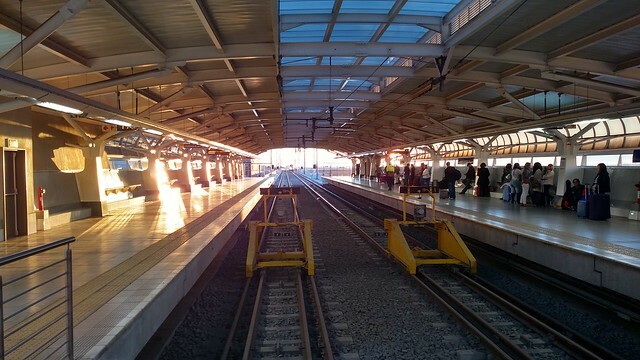 Speaking of the Gautrain, it’s quiet modern, clean, and quick. 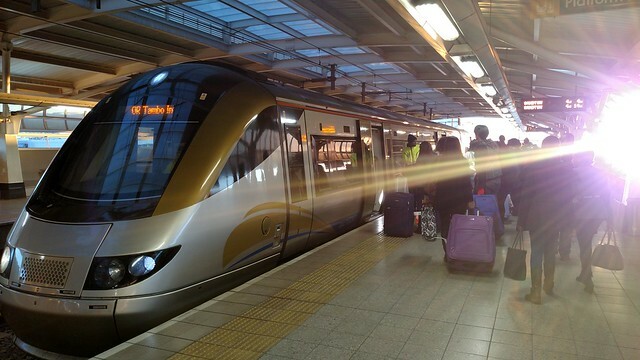 It took maybe 15 minutes to ride from OR Tambo International Airport to Sandton and was pretty similar to other airport/commuter trains around the world such as Heathrow Express or Hong Kong Airport Express. Ample bag storage, clear announcements and signage, and easy to use. Walking up to the gate of the hotel (all the hotels in Sandton seem to resemble more of an Embassy compound – assuming due to the relative levels of crime in Johannesburg) I found myself quite worn out from the hike. Why? Those 50 pounds of gear strapped to my back. I had not done that in quite a long time and after flying halfway around the world, I just don’t think my body was ready for it. Unfortunately for me, a group from Australia was checking in before me. I got in the HHonors Gold/Platinum line thinking it would be quick. Nope. The person who was in front of me would ask if they would let her friend check in there as well and so I got jumped – and with it never being a good idea to argue, and the fact that I was worn out, I just kept standing there until another agent could check me in. Total time spent waiting: 15 minutes. Check in through was pretty painless and standard procedure. I had not been upgraded, but that was fine since I didn’t really need an upgrade either. 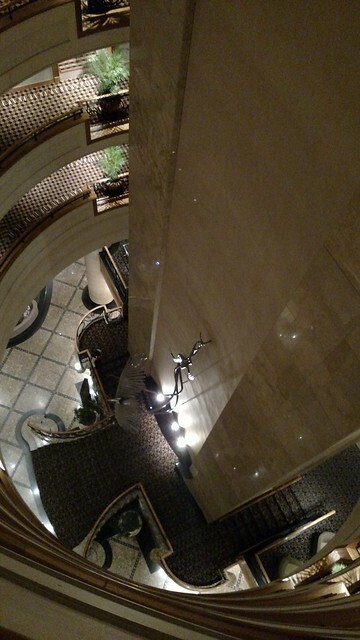 Directed to the elevators, I made my way up to the my room 532 to drop my bags in search of dinner. The room itself had plenty of room to move about; not cramped at all. At the heart of the room was a king-sized bed and like most Hilton properties it was pretty comfy. By the time I got back from dinner, and laid down in the bed I was out faster than you could say “asleep”. Granted that may not have necessarily been from the bed being comfy and could have been from my long journey, but it did the trick! Also in the room were the very much standard desk, which I never even bothered to sit down at and a chair with a table next to it. Again, basic stuff for this kind of hotel. They had left a welcome gift of fruit out on the table, and what may have been a welcome gift bottle of wine, but with no note or price or anything I decided not to chance opening the wine. Didn’t want to wind up with a surprise charge to my room! 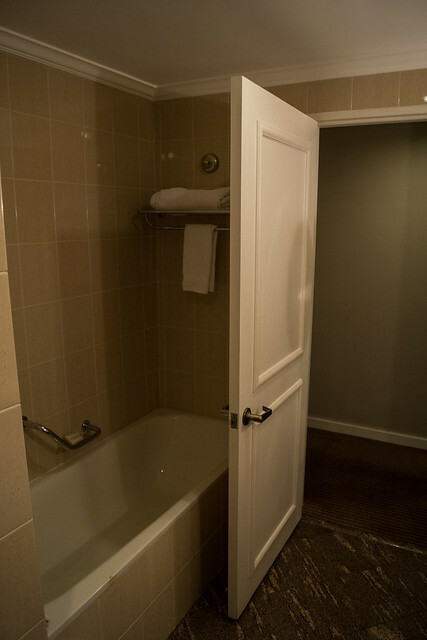 There was also a mini bar located between the bedroom and the bathroom. In the bathroom, I was glad to find that there were a separate shower and tub; the shower I pretty much jumped in right away to try to wash the many hours of travel off and to refresh before dinner. I can say that the shower was able to get very hot and had good water pressure. You pretty much can’t ask for anything better than that from a hotel shower! 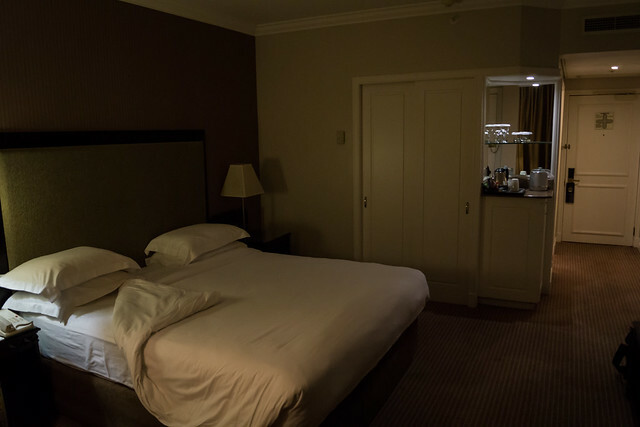 Given that I had a 630AM flight out of Johannesburg to Port Elizabeth, I knew that I was going to need to leave the hotel around 400-430AM in order to make it to my flight. I didn’t want to schlep my bags back to the Gautrain station (and wait for the first train), I opted to get an Uber ride after I checked out. That process, by the way, other than having to wait for an agent who could check me out to come to the front desk was otherwise quick. As I waited through for my ride I had decided to venture outside to wait in front of the hotel, but immediately I discovered that it was a bad idea. It was barely above freezing and extremely windy. Of course I was standing there in shorts and a T-Shirt I think. Not exactly the weather I was anticipating (for the record though I did bring a very lightweight jacket). I waited it out in the lobby until my ride arrived and then it was off to the airport to catch another flight. My stay at the Hilton was obviously short. There was not time to check out the various amenities on property and when it came to dinner, I didn’t even eat in the hotel restaurant (I walked to a pub 20 minutes away, taking the well-lit long way instead). So can I comment on any of those features such as the gym? Nope, guess I can’t. 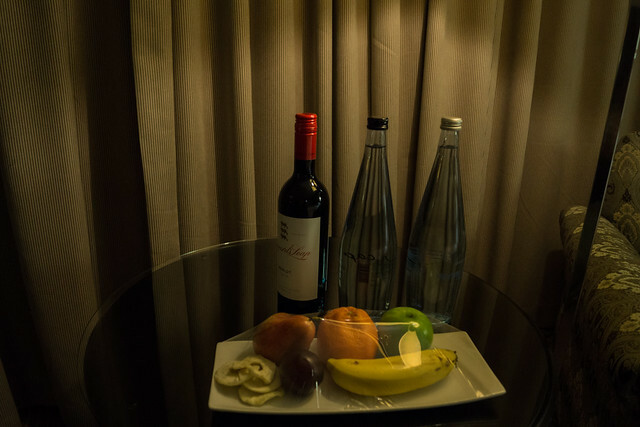 So the question is, did the hotel meet my needs? Yes. While there were some frustrations such as checking in, the hotel was comfortable, even if it wasn’t the most modern property that I’ve stayed at. Was it in a good location? Again, it definitely checks that box. 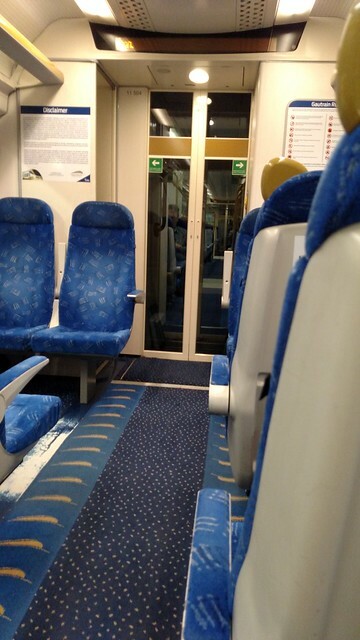 The ease of access on the Gautrain is very convenient, although I will say that Uber rides within Johannesburg are very affordable – my 30km ride from the hotel to the airport was only 200 ZAR or ~$15US. Definitely would recommend doing that option if you have a lot of bags versus taking the Gautrain. There’s plenty of things around in Sandton as well, so if you are going to Johannesburg this wouldn’t seem to be a bad place to make a base of operations. However, was it the ideal location for my quick overnight? No, I probably could have been better off just staying next to the airport – which is what I did the night before I flew on to Dubai. However, it did get me into the actual city versus a sterile, isolated airport hotel. 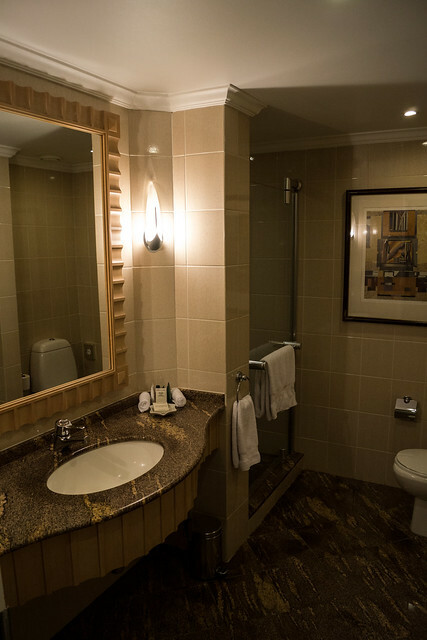 This entry was posted in Africa, Hilton HHonors, Hotels, RTW, South Africa, Travel, Trip Report. Bookmark the permalink. Follow any comments here with the RSS feed for this post. Post a comment or leave a trackback: Trackback URL.